I am always trying to innovate, stay in motion and renew our product. To do so I always look for new experiences, by trying new things and by traveling around the world. It’s for sure that you can never travel enough, but to enjoy a great trip it doesn’t always have to be far away or long. Recently I visited Vienna, went to Nice (with a quick visit to Monaco) and my most recent trip took me to Bucharest. Besides that I visit at least one restaurant per month (usually more) in and around Amsterdam. I am eager to try all sorts of variations, from a Thai hole-in-the-wall to hip and happening restaurants, as long as they have food. I truly believe when there’s food, there is passion and when there’s passion, there is movement. A passionate chef or waiter wants to keep learning to become better at their trade to continuously improve the experience for the guest. Through these trips I am able to keep an eye on new developments, where we stand as a restaurant and what we can learn from others. During these visits I always pay attention to many things, with a main focus on service. In the Netherlands most people are not service minded; it’s not engraved in our culture. Because of that, we need to work extra hard to be service minded at all times. It is of the utmost importance to realize this on a daily basis and always approach each situation from the perspective of our guest. Inspiration can be found in many small and bigger things. A warm welcome when entering a restaurant already inspires my evening and raises my expectation for what’s to come next. This gives me confidence I am not just here to eat; I come for a full experience. A complete dish in which all flavors complement each other can also be inspiring, but mostly the complete experience is the truly inspiring part. When everything is in good harmony, the look and feel match and the menu items match the wine list: that is what makes a concept come to life. A concept can only be successful if it is executed to its full potential without any concessions. This goes very well in many places but at the same time it is the biggest reason for failure. When a chef goes the extra mile to create an amazing dish but the service team brings it to the table without any pride and explanation, I feel pain for the chef. Likewise if it is the other way around, when you visibly witness the service team to be passionate and knowledgeable but the dish you are eating is disappointing. What I like most about these moments is that I can learn something from any situation. The way we do it is not the rule, we can always develop ourselves. What I do believe in is to stick to our concept and I guard this with passion, because we feel, smell and taste the concept. After launching another new menu last month, we placed a greenhouse in our restaurant this month to continue our development. Because what is better than to serve great local ingredients? Serving our home grown produce! It takes time, effort and dirty hands, but it is worth it. Now we can cut fresh herbs in the morning for tea, with a wide array of healthy add-ons like ginger and lemon balm. In the greenhouse we grow cress, herbs and even strawberries, because when you have control over what you put in, you have control over the quality of the product. 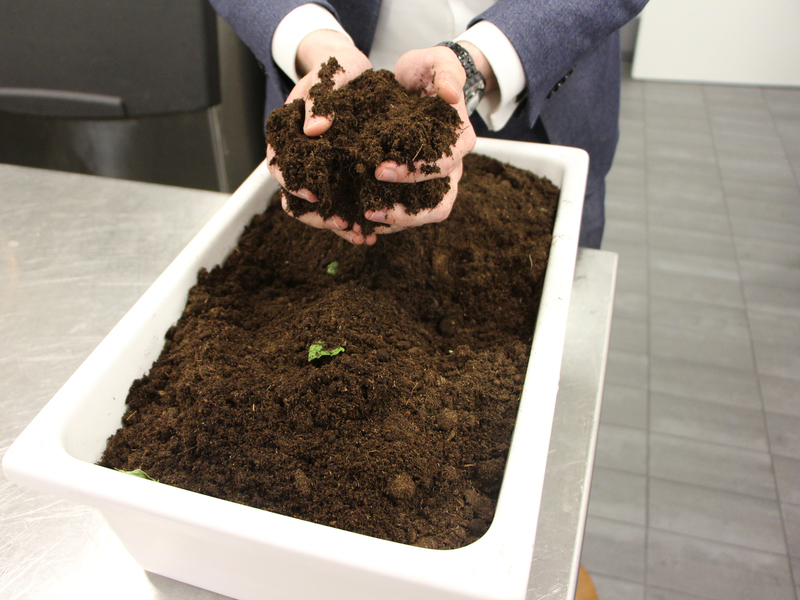 We will continue to stick our hands in the dirt to create a great product and continuously improve our offerings. Rick Bakker is restaurant manager van Bowery Restaurant. 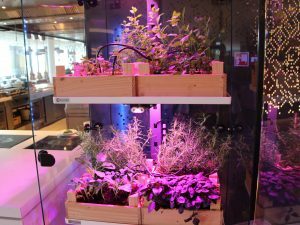 Tijdens zijn studie aan de hotelschool stond hij meer op de werkvloer in restaurants dan dat hij in de schoolbanken zat en deze passie is nooit verloren gegaan. Na mooie avonturen in Amerika en Curacao is hij bij Grand Hotel Amrath Amsterdam gestart waarna hij de stap heeft gemaakt naar het toen nog te openen Bowery. Hier gebruikt hij zijn creativiteit en passie om een heerlijke experience neer te zetten voor elke gast. Rick Bakker is the restaurant manager at Bowery Restaurant. During his studies at the hotel school he was found more working in the restaurant than sitting in class and this passion never seized. After great adventures in the US and Curacao he started working for Grand Hotel Amrath Amsterdam, before starting with Bowery in the pre-opening team. Here he uses his creativity and passion to create a wonderful experience for every guest.